Changing times demand a change in practices , lighting solutions have also evolved and now are in a transition from incandescent lights to LED lights.In light of this, tube lights have also changed from fluorescent to LED .which is why LED tube lights are oft-spotted in homes and office spaces. Businesses everywhere are switching to LED solutions to not only save money on their electricity bills but also to significantly reduce the maintenance charges which are also a subversive influence on commercial budgets. LED tube lights are an easy solution for us to make that switch. Whether you are in search of a whole new lighting scheme from scratch or planning on switching from fluorescent lights, there is an alternate for you. Most of the fluorescent fittings are readily available as LEDs , and the market is flooded with options. 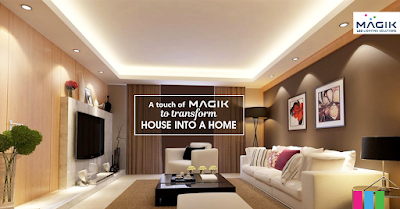 Magik Lights’ LED tube lights claim a lifespan of 25000 hours, which is about 7 years of average use.And unlike fluorescent tubes, LED tube lights maintain their lumen and brightness over time without flickering or buzzing at the end of their cycle. 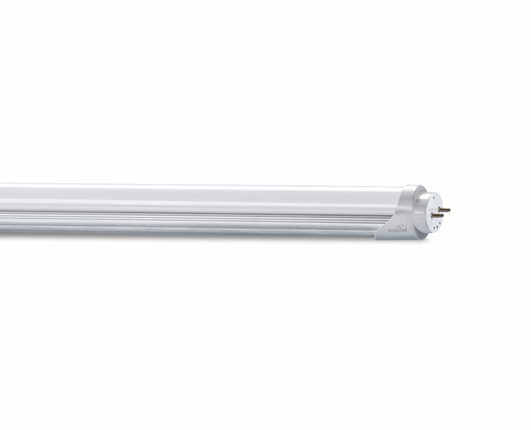 LED tube lights have better endurance during the switch cycle which also improves their lifespan LED Tube Lights are free of harmful chemicals like mercury which also makes them environment friendly. Lighting can add more value to the look and feel of a room. And if you are using downlights, then you can create ambient as well as task lighting effects with the same. While using downlights, you should be careful in the way you structure or place them, otherwise the aesthetics of your room may get compromised. Focal point can be defined as an area, which is illuminated the most inside a room. LED downlights can be placed on such points that need attraction more than any other place, and the remaining lighting can be arranged around it as per the requirement. For instance, if you are planning to use downlights for your living room, then the outside view or the fire place could be your focal point. While positioning LED down lights, you need to make sure that they are not placed too close to a wall, otherwise they will cast a shadow on the edge of the ceiling. This shadow makes a room look dull and less spacious. The ideal gap between downlights and the edge of a ceiling should be approximately 75cm. This will provide enough space for light to diffuse throughout a room, without casting any shadow. Beam angles of LED Downlights vary from model to model that produce lights having different radii. As the beam angle increases, more floorspace gets illuminated. While using downlights that have a narrow beam angle, make sure there isn’t too much space between them, otherwise the lighting arrangement may create some blind spots. Now, it’s up to you ‘how’ you want to illuminate ‘which’ space. Be as much creative as you want!